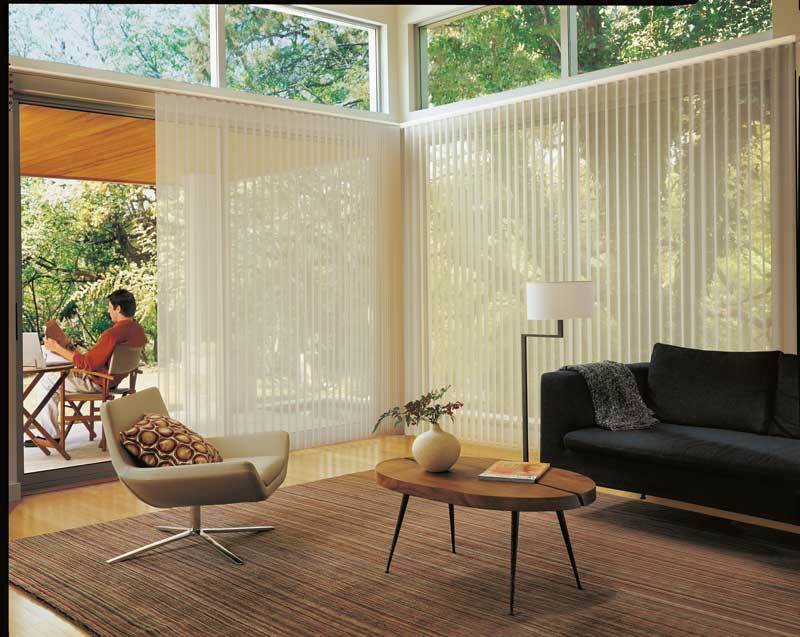 Hunter Douglas Luminette Privacy Sheers combine the beauty of sheers with the privacy of soft draperies. 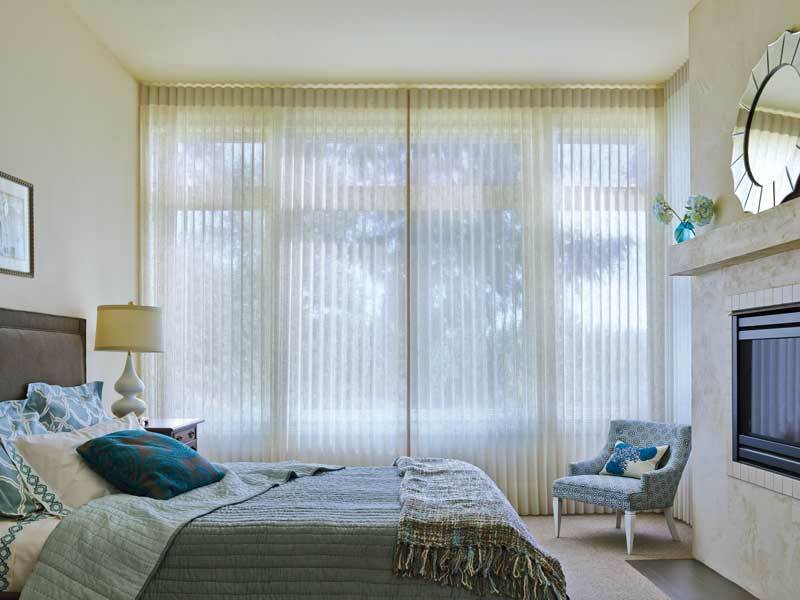 Available in a side or split stack design, these vertical sheer window treatments are especially suited for larger, rectangular windows and sliding glass doors. 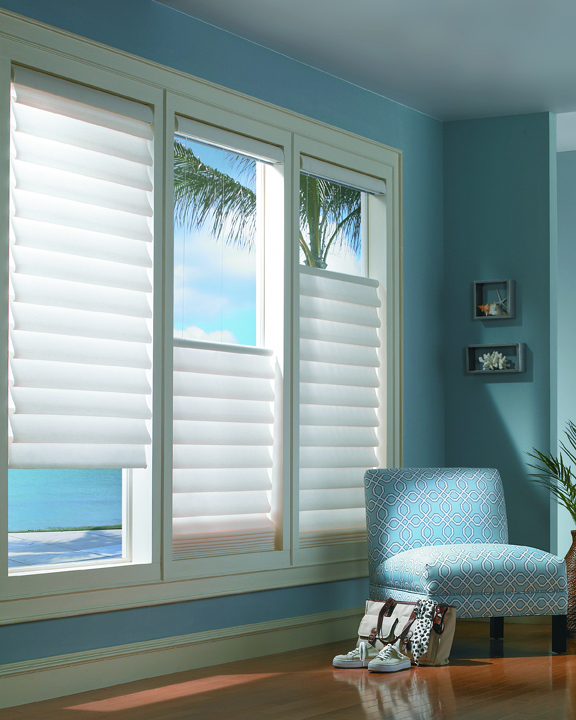 Fabric vanes are available in two opacities: translucent and room darkening. 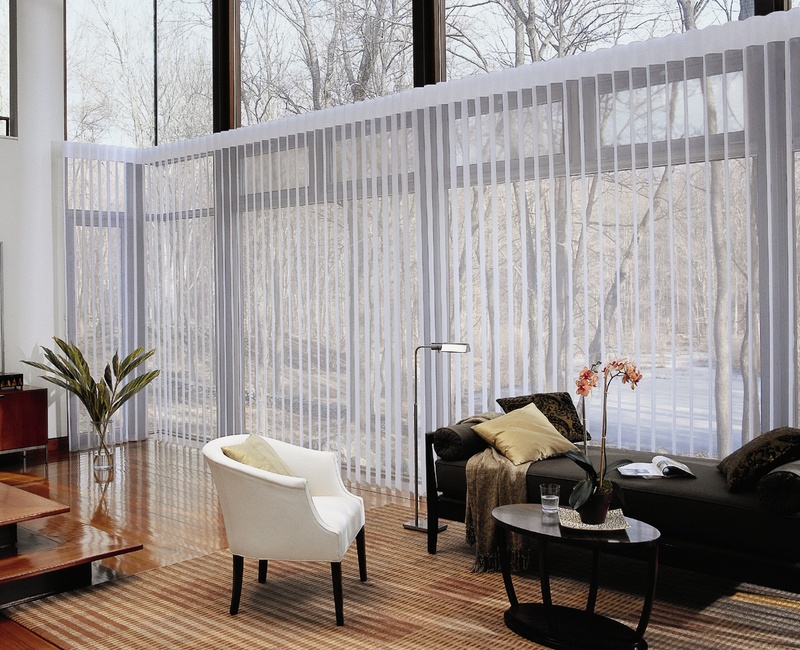 • When closed, the translucent vane option creates a luminous glow and discreet privacy. 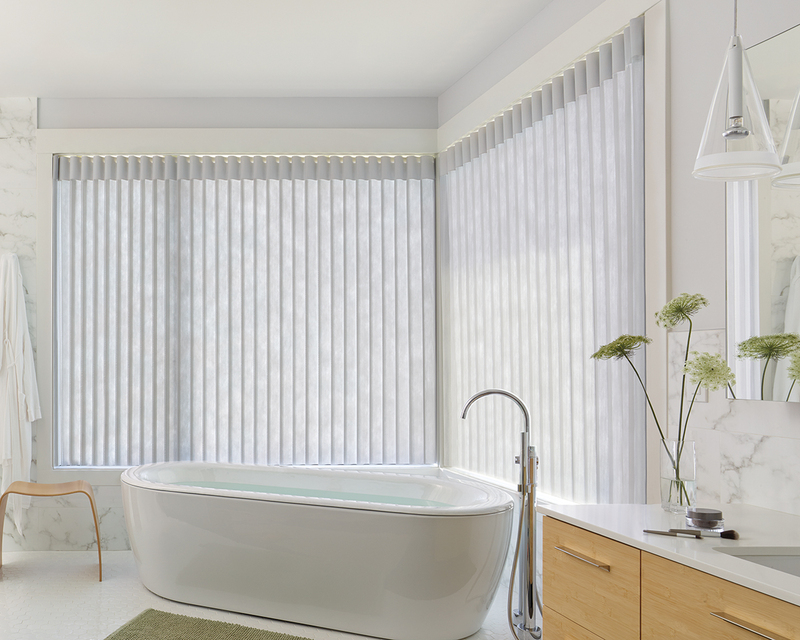 • When closed, the room-darkening vane option blocks more light and provides even more privacy. • The exclusive SofTrak Hardware System is easy to operate, with proven reliability. 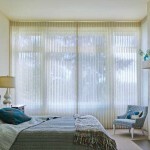 When the sheer is drawn closed, the SofTrak components are concealed by the fabric. 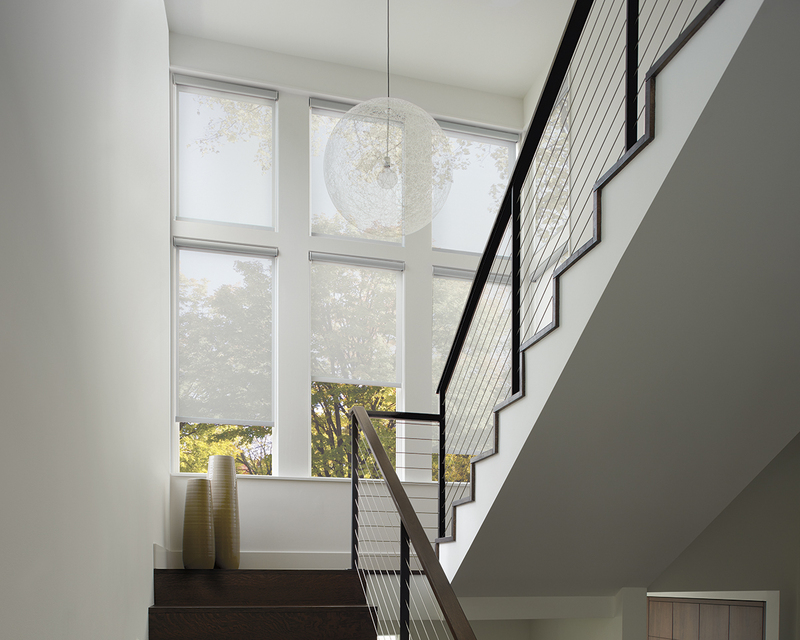 • Available in side stack or split stack designs, plus Tilt-Only for narrow window openings, such as sidelights. • The Combination Wand/Cord or Traveling Wand are offered for manual operation of the SofTrak hardware system. • For motorized operation, PowerView offers state-of-the-art remote control operation and easy integration with home automation systems. 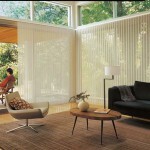 Hunter Douglas products are custom made to order, Hunter Douglas Luminette Privacy Sheers are available up to 192” wide. Please contact us for pricing on alternative sizes and options. 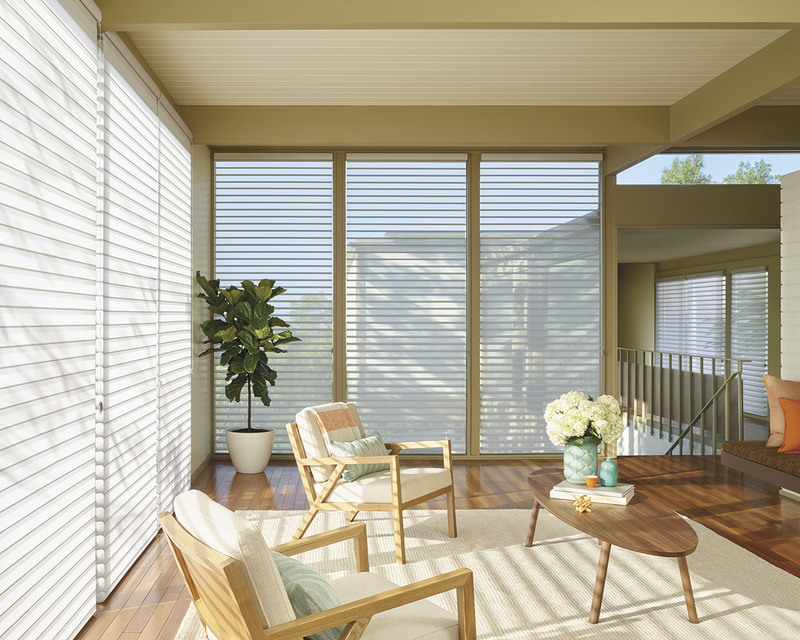 Categories: Hunter Douglas, Sheer Shades. 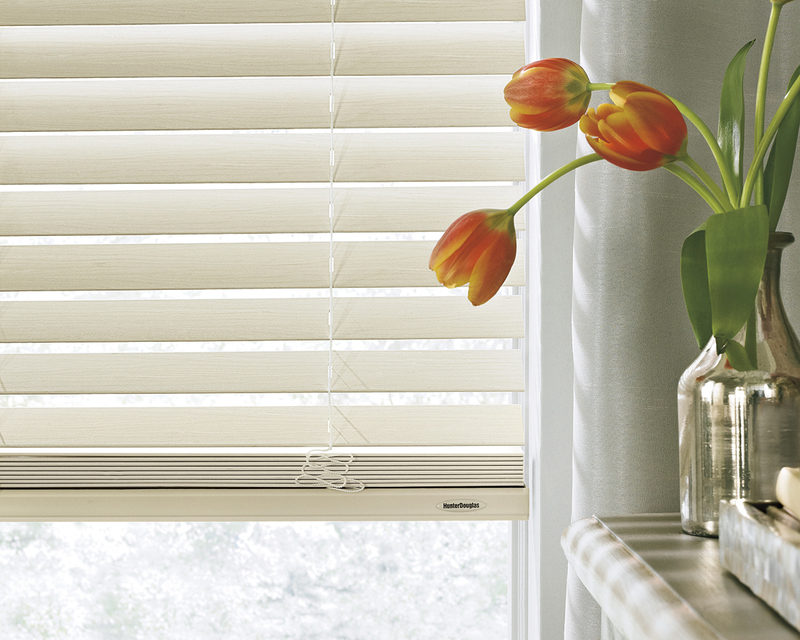 Tags: Custom Window Coverings, Hunter Douglas, Luminette, Motorized Shades, Powerview, Shades, Window Coverings.